MY father finally gave in to very bad osteoarthritis in 2017 and had bilateral knee replacements. His surgery was complicated by a severe post-operative delirium, manifesting as extreme paranoia, which unfortunately he remembers very clearly. It was a terrifying experience, and I remember thinking at the time how glad I was that he had both knees replaced at the same time, because there would have been little chance of him agreeing to go through another operation after his experience. In the longer term, the operation was successful and Dad had a new-found freedom, which allowed him to go walking with his neighbour, play bowls, renovate his house and even go back to work as a plumber at the age of 77 years. Fast forward 18 months, and something was not right. Dad was losing weight and feeling awful, although reluctant, as always, to admit it. After some time, it became clear that one of his knee prostheses was infected. Never particularly engaged with his own health care, Dad was guided by his doctors and his sons (me, an intensive care specialist, and my brother, a physiotherapist) as to the best way forward. Faced with the prospect of having the prosthetic joint replaced in two stages and knowing how scared he was of the delirium that had plagued him previously, we decided to try to manage the infection conservatively — a joint washout and joint liner change (a much smaller procedure) and long term suppressive antibiotics. After his joint washout, pleasingly with only a mild and short-lived delirium, he was almost immediately feeling and looking better. He had a peripherally inserted central catheter for home intravenous antibiotics and was preparing for discharge. However, in the context of thromboprophylaxis, he had some melaena, prompting an endoscopy that discovered a gastric cancer, and our health care journey took an unexpected turn. Computed tomography and positron emission tomography scans indicated both locally invasive and nodal disease, and one of the many doctors involved explained, compassionately, that this was not likely to be curable. 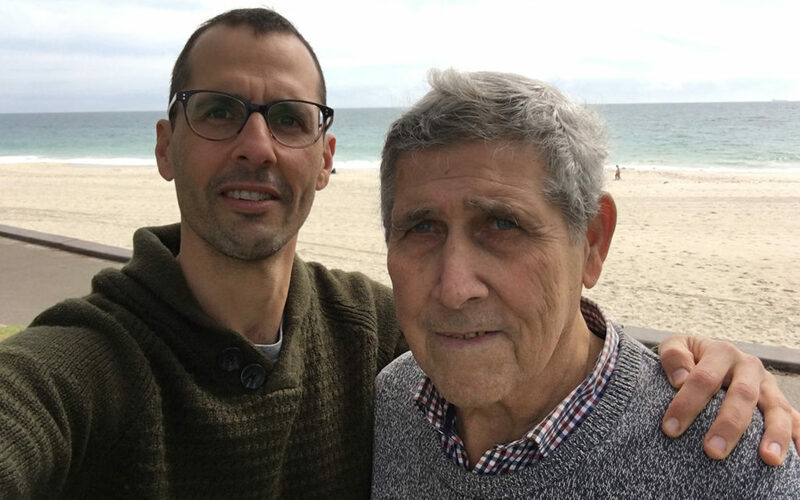 After the shock and sadness settled, I talked with Dad about what he wanted from the rest of his life, however long that might be, and what he wanted to avoid. I was surprised at how open he was discussing this, having previously been a reluctant participant in such conversations. He understood that the cancer was not curable, and he reflected on the life that he had had with pride and gratitude. He knew he would leave behind a happy and fortunate family, including two sons and three granddaughters, and hundreds of friends and family, who were all the better for knowing him. In his own words, he wasn’t afraid of dying. More than anything, what he did fear was a lingering death, and wanted to avoid “fighting” for a bit more time. With the knee infection under control he felt well again, and he didn’t want to risk that by trying treatment that might have side effects (he had recently watched a close friend experience side effects from chemotherapy). Having always hated hospitals, he wanted to avoid them and spend as much time at home as possible. He wanted to spend time with his granddaughters, but only if he didn’t look unwell (he didn’t want them to remember him as a sick person). True to the way he had lived his life, he didn’t want to have to rely on other people if he could avoid it (despite the myriad people who would have gladly helped), and he didn’t want “fuss”. Among the tears, there were jokes, much more in line with how Dad typically handles adversity. The discussions we had were cathartic, enlightening and even calming for us both. Perhaps it was going to give him the longest life, perhaps it is what most patients in this situation choose, perhaps it is what those doctors would have chosen for themselves. It was clear to me, however, that it wasn’t good advice for my Dad. Chemotherapy was, in fact, likely to produce what he wanted to avoid: trips to the hospital, the possibility of feeling sick, looking unwell to his grandkids, lengthening the dying process, relying on other people to bring him to hospital for treatment, and causing a fuss. All for the sake of delaying something that he didn’t fear, something that he was remarkably prepared for. I was able to support Dad to resist the momentum towards chemotherapy, and when we left the oncologist, he told me it felt like a weight was lifted off his shoulders. He could get back to enjoying his life again, even if only for a short time. Dad had a terrific experience with his health care. He worshipped the nurses who cared for him, and he liked and respected all of his doctors. He would have done whatever they said was best for him. Sadly, I have no doubt that had I not been present to share what I knew about his wishes, Dad would be having chemotherapy right now. And that would not have been consistent with how he has lived his life, nor how he wants to live the rest of it. Had Dad been asked a few simple questions before advice was given, it would have been clear that chemotherapy was not a way of meeting his goals. Dad lived for 6 more months. He socialised every day with his vast circle of friends, spent quality time with his family, and played with his grandchildren. He had only one short admission to hospital for a blood transfusion. He died at home. He knew how he wanted to live his last months, but his doctors could not have known. If we are going to give our patients advice, and I believe we should, then we must tailor that advice to the values of the particular patient. In some circumstances, this will mean advising against treatments that might prolong life. The answers might just change our advice. 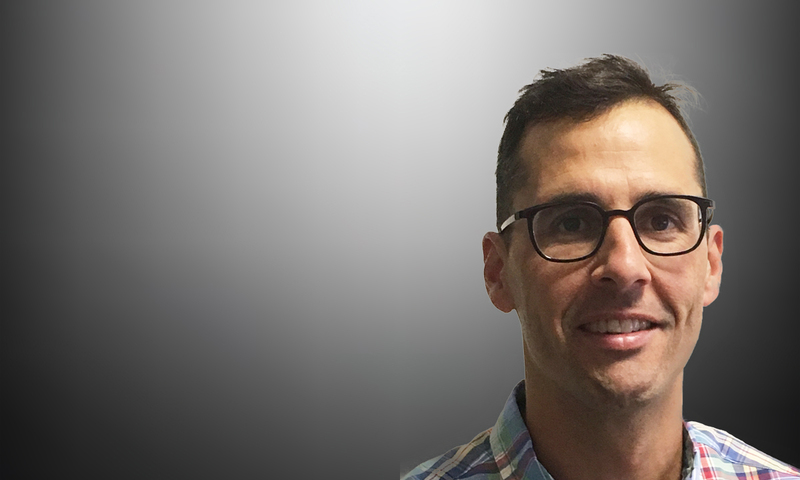 Dr Steve Philpot is an intensive care specialist at Cabrini Hospital in Melbourne, with a special interest in end-of-life care, organ and tissue donation, communication skills training and empathy in the workplace. Thanks so much for sharing Steve, it must have been an extremely hard time for your family and to be able to write so positively and critically about the experience is a gift. All terminally ill people should have the option of legal voluntary medically assisted dying as well as all the other treatments like chemotherapy and palliative care. Thank you for your reporting of your family’s wisdom in this common situation. As a rural GP often involved in palliative care, too often people are coerced into futile therapy which does nothing for their final weeks and months. Please have the oncologists acknowledge the patient’s right not to be a guinea pig. This is such an important article, for everyone to read. I am grateful Steve that you shared your experience and your beloved father’s word with us. I have shared this highly relevant article to my collegues and friends. Thank you for sharing your experience, very thought provoking indeed. Fortunately, you are a medical professional and you have the knowledge and medical background which surely would help you to support your dad’s wishes. Form my point of view, as medical professionals, we need to develop our communication skills to help people outside the medical profession to understand this concept and be able to support their loved ones when making these crucial decisions. Thanks again for sharing. This is an excellent article and one I wholeheartedly endorse. This is exactly how I seek to practice medicine, and it really is what “Patient Centred Care” epitomises. I have had numerous discussions with patients of this kind of nature and it is refreshingly rewarding to hear their desires and wishes and to incorporate these in the treatment decision making. Well done and thanks. As a radiologist I’ve been “scanning patients to death” at times, wondering why the oncology team has not moved onto palliative care as your father did with the support of yourself and his family, but am not really in a position to enquire or interfere. When one is well over 70, as I am, does one really need / want to extend survival for a few extra months at the cost of considerable effort of attending hospitals and /or clinics – including pathology and radiology, having more treatment with unpleasant side effects, coping with the transport and logistics required, with the extra stress on oneself and family and probably the extra cost. Maybe so with a grandchild to be born or a family wedding or Christmas; probably not for the next elections or whatever good or bad may happen in the world. 4 months on a life span of 70 years is a 1 /210 – approx 0.5% improvement! And it sounds like good palliative care was available. Steve – I am so sad that you and your family had to go through this. You have shared beautifully how we should all approach management decisions for our patients. And to remember that each patient lives this plan every single day. Ex ICU doing GP now, met you ATA before, sorry to hear about your father. Reminded me of when my grandmother had similar in the UK, I was far away from the discussions of what to do…wish we had been able to follow the line of what your family did. Thank you for sharing this Steve. We all need to ensure our wishes in relation to end of life care are documented through an Advanced Care Directive. Having our wishes clearly documented will be very important if we end up in a position where we cannot communicate our desires. Next of kin may be reluctant to make decisions not to pursue every possible treatment option without clear guidance. Thank you Steve for your great kindness in sharing this family experience. I am so pleased that your father did get to have the rich family and friendship experience he wanted. No matter what field of healthcare we are in, we can all learn from this to choose wisely in how to deal with the unique individuals who come to us for help to ensure it’s in their best interest. It is after all is said and done, their life their experience that matters. Once again a heartfelt thank you Steve! A beautiful story, thank you Steve. As an eighty plus year old, I hope that my wishes for end of life care will be supported in the way you and your brother supported your father. Thank you Steve for sharing your personal journey. Regardless of the training in your professional life, your father blessed you with an insight many of us fail to gain before much later in our career or life experience. Difficult conversations provide planning and dignity in a situation often handled in the moment with emotion rather than kindness and consideration for everyone. Your father raised respectful and loving sons. Thank you very much for sharing this experience. I went through something similar with my dad. Well said Steve. Integrity in healthcare is everything. Thank you for the article highlighting this! Thanks for the insight. I have seen people say they just want to be at home and get to taste good as a goal and we tell them yes that’s fine but they are going to have to wait while we organise it. Slowly but surely, our over medicalisation of their care means we keep them in wards while we tell families how to care for their loved ones and each day is precious and they die waiting to leave. I’m seeing the transition from ICU to home a very slow one and it is heart breaking in my work. My grandmother died at home from MND, we learned how to hoist transfer and I got to go through photo albums and old memories with her that would not have been their in a ward setting. She had purpose and got to wipe the dishes while I washed them, read and not just sit and wait to die which is what she preferred. Palliative care we’re fantastic at home. I’m thankful for chemo but if it’s not a cure it seems sad to live a life of being shackled to the hospital. Thank you for a great discussion and please keep this topic visible. I strongly believe patients should always be included in the decision making process; after all, they know what they want and what their resources are. My 83 year old father in law died recently after 3 1/2 months of dialyis that he believed he had to have, not being given a choice of whether to start or not. He did not have the opportunity to discuss his options or the possible outcomes of the choices he had. This resulted in several months of distress, embarassment, disruption and poor quality of life for both himself and his wife. He finally died peacefully at home with his family but only after many miserable weeks in and out of hospitals. The end of his life should have been far easier. Steve, a beautiful well written personal story, I know from my mothers experience in her last months of life, resisting the force of the health service to do what they could do rather than what was right was very challenging despite having a physio sister and my own experience in health care, there are just lots of assumptions made by the care team that just don’t fit everybody. I am pretty sure they thought we were difficult, with my raucous 6 siblings, partners and grandkids, Mum was never alone at night but sadly she didn’t die at home with us but at Peter Mac alone and delirious. I think one of the ways to change our health systems is through the lens of personal experience.